They say that when someone cooks for you, love goes into the food. Tonight, I cooked for myself. That must mean, I REALLY love myself, because I made a very simple dish that pleased all of my senses. 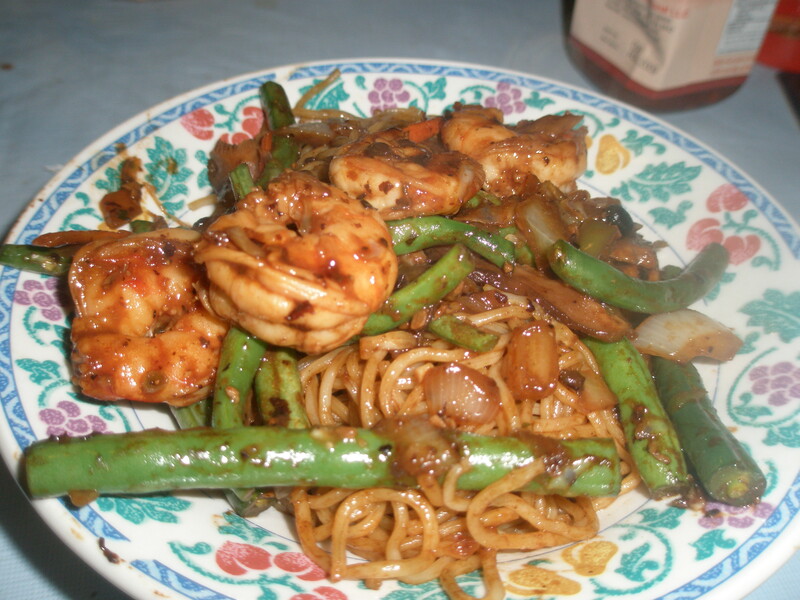 Before I left for the gym this evening, I put some shrimp into a very simple marinade of soy sauce, generic stir fry sauce and sriracha sauce. When I got back, I found some green beans in the fridge, so I decided to whip something together without a recipe. 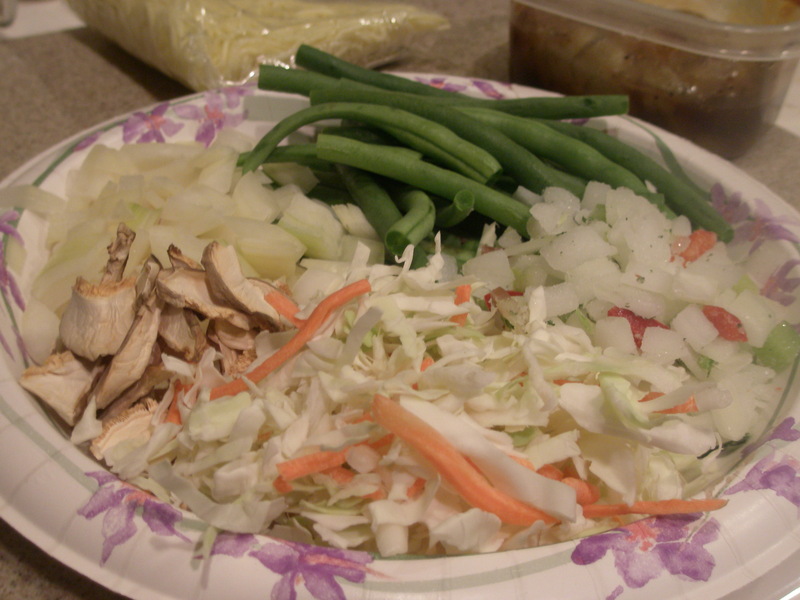 I started with some vegetables in addition to the green beans: onions, cole slaw blend of cabbage and carrots, shiitake mushrooms and garlic. Mixed it with some black bean sauce and let it cook. 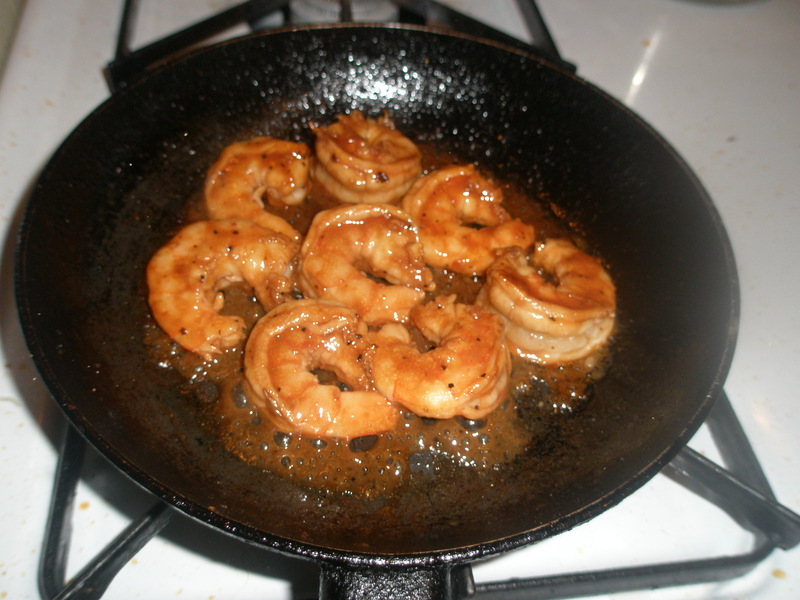 Then, I pan-fried the shrimp in some light extra virgin olive oil. I served both over a bed of noodles which I prepared separately. This dish was so flavorful, simple and I made it in less than 10 minutes. After dinner, I had this dessert thing that my Mom made for the holidays. 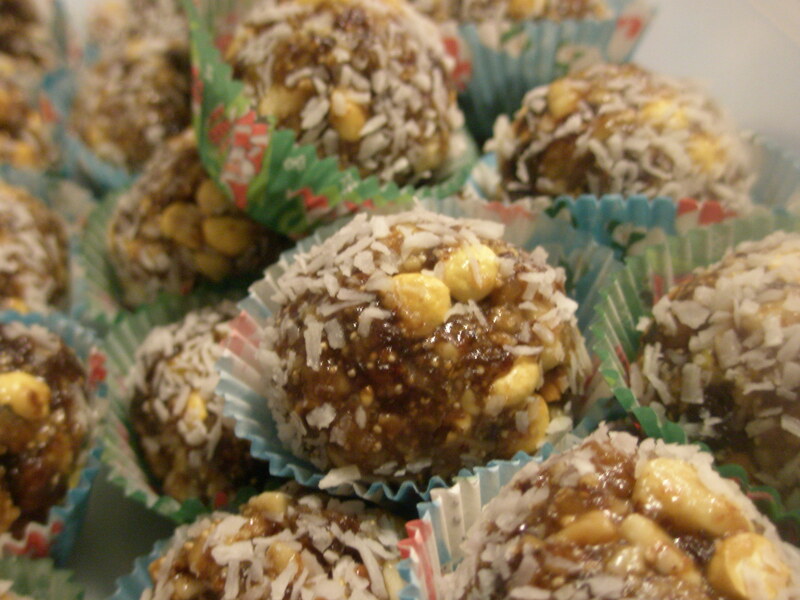 Not quite sure what it’s called, but its a formed ball that is made out of raisins, pistachios, roasted poppy and sesame seeds, and then rolled in shredded coconut. Freaking amazing!! I’m still working on a general format for how these food blogs will work. If I am talking about a meal, I will just start with a little ditty, and then get into the pics. I won’t list any recipes, but if you really want them, let me know. That’s all for now. Tomorrow, I will work on my tamales!